It's that time of the month again! Though today is the 8th, I checked the figures yesterday and noted them down, to keep it all about the 30 days leading up to the 7th of the month. There was little contest in the end for the winner (I knew there wouldn't be) in the month that made me an International Best-Selling author. In sales alone, this title counted for over 95% of them, but the chase for second place has never been more intense. And with a deal coming for The Prey in the coming month, might that title rock the charts next time like another did this? As always, last month's chart is here. These figures are for the dates between Mar 8th and Apr 7th and the brackets after each book signify the change from last month’s position, a (-) meaning the book is unchanged, and a (++) means it is a new entry into the chart. Comment: Last month's prediction proved true, though wasn't a hard call. The new release, A Boy Lost Volume Two, only managed a 5th placed entry on the list. This was partly because The Prey and The Hunt series Books 1-3 are also being advertised. It is this month's 3rd placed title that is the one to watch in May. 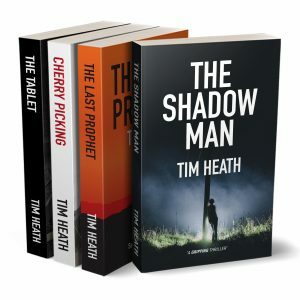 It has a BookBub feature on 17th April which will no doubt make it the best-seller, plus boost, I hope, all the following titles in the series. I can't wait to see what happens! The biggest surprise is second place, my best guess being that a lot of readers who've come across me this month took a look at another title before making a call on further books. Well done to the winner, however––my record title based on monthly sales! Comment: The winning titles had over 50,000 pages read! It accounted for 80% of the total for the month, so in this chart, the other titles faired a little better. 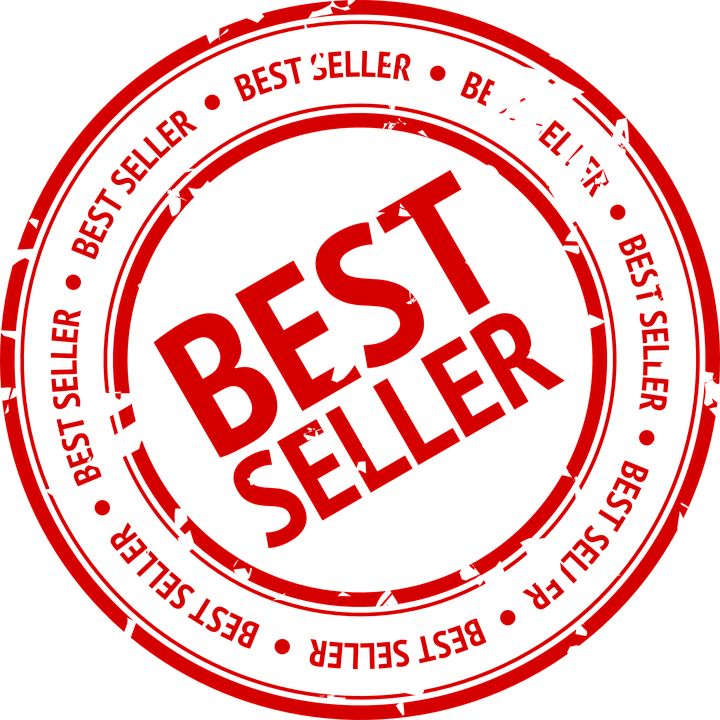 All 6 Hunt series titles (plus both box sets) made it into the top 10. That's a first, I think. I expect them to repeat this next month. We will see. 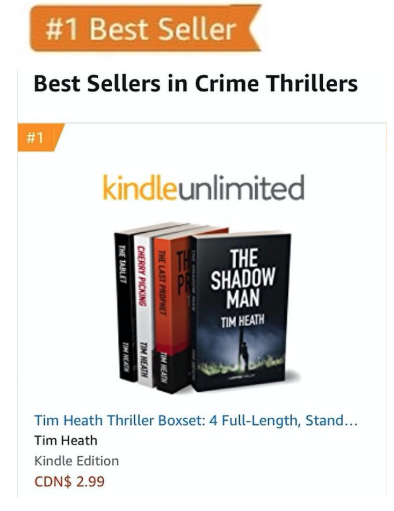 Last month's runner-up fell to 10th this time, but I'm pleased to see it still there. Given the readers last month and this, does it mean that book's follow-on title will appear in the chart before too long? The UK remains my most dominant market, and the top four in sales keep their positions from last month, though Canada surprised their neighbours by jumping into second place in the KENP chart. Next month, I expect a surge from the individual books––can they oust the dominance of the box sets, at least for one month?